Jon Danzig's World: Can’t vote or don’t vote? Can’t vote or don’t vote? Tony Benn once defined democracy very succinctly: 'The right of the people to get rid of their government.' That’s a right all of us who live in democracies should cherish. The thing is this: governments rule us; they rule you. Please don’t be fooled into thinking you are above and beyond democracy, or that politics doesn't involve you or touch you. Governments have the power to completely control your life, and how you live it, and whether you may thrive or fail. They have the power to decide whether you live here or not. They have control over your childhood, whether you will have an education, and even whether you can have children yourself. They have the power to take you away from your parents, or to take your children away from you. They control access to healthcare and if you may survive or die from an illness or an accident. They can decide if you'll have an education and whether it's free. They have power to help you, or not, at your times of need. They can control your right to earn a living, and whether you will be properly paid or enslaved at work. They have power to control whether you can run a business, and precisely on what terms. They have the power to say where you can go, and at what times of day. They decide whether you can have a passport to enter other countries, and whether you will be welcome back on your return. They have the power to take away some, or all, of your money and property. They have the power to use, control and store every piece of information about you. They have the power to take away your identity, even to take away your life. The government has power to put you into prison; the power to send you into exile. They have the power to take you and your country to war, and to insist that you fight in that war or be shot or imprisoned if you don’t. The power of the government is supreme. Heaven help any citizen of a country who is powerless against a despotic, non-democratic government, with no means of redress. The power of government does not represent empty words. The power to control your life and the lives of all around you is real and potent. That power needs to be balanced by that of the people, so that in unison, the people can vote out their government if that is their wish. In countries where there is no vote, dictatorship governments can rule for decades and decades with no opportunity for the people to get rid of them. Instead of the ballot, the peoples’ only chance is to resort to the bullet, at huge personal risk, with no guarantee of success, and mostly with the greatest chance that they will fail and be mercilessly crushed. How much those people envy our right to sack a government with the simple, easy use of a vote. Please recognise the difference between ‘don’t vote’ and ‘can’t vote’. Those who don’t vote, but can, are lazily riding on the backs of those who fought hard for our right to vote, and to have a say in who governs us and the lives we will lead. Despite our moans, in the United Kingdom we enjoy among the best lives on the planet, with those on just an average wage belonging to the world’s top one percent of earners. We have a right to a childhood, to universal education, to healthcare, to clean air and water; the right to free movement, to use the roads and pavements and parks; to leave and return to the country; to be protected at home, in the street and at work and in times of need; to call for help in an emergency; to go about and enjoy our lives in relative freedom. We have a right to resolve disputes in government courts, and even to take the government to court if they overreach their power. Here we have a better life than most others on the planet because, and only because, of our right to vote. Without the power to choose or discard our governments, we would not have any of the freedoms and the better lives we have won through the ballot box. All democratic governments know that we, the people, have the opportunity to kick them out of office at least every five years. Without that, governments would never leave, their power would never end, and governments would be run only for the benefit of rulers, and not for us. The vote gives us the power to hire or fire governments. By not voting you diminish and weaken us all. You reduce and ridicule our power of emancipation. You are lessening by one vote, your discarded vote, all our powers of choice. When people don’t vote who can vote – in local, national and European elections – governments know they have less eyes watching them. They realise they can get away with passing laws that many voters will not protest or care about or even bother to find out about. In the UK's 2014 European Parliament elections, the Eurosceptic party, UKIP, won 24 seats - more than any other British party. Yet less than 10% of the UK electorate voted for UKIP, because only 34% of the electorate voted at all. That's the problem with low turn-outs in elections: the results are fair only for the minority who voted, but not necessarily reflective of the true feelings of the majority who didn't. The smaller the turnout at elections, the less chance we get the governments we want. With low turnouts, governments are less accountable to the majority. The more who vote, the more governments represent us all, and respect that it's the people to whom they are beholden. It matters less who or what you vote for. It matters most that you vote at all; that you use your right to increase the electorate by the power of one, you. It’s important by your vote, whatever your vote, that you tell governments you care about how your life, your loved ones lives, and your country, are run. Those who can vote but don’t are taking advantage of all of us who can vote and do. They live the good life with us, without having contributed to our right to have that good life in the first place. They benefit from all the hard won rights of the people, but feel disdainfully above any obligation to help to win and retain those rights. When things go wrong; when there’s a fight to make things better; they absent themselves from any need to become involved, even though the effort to enter a cross in a box on a piece of paper is miniscule. Those who can vote but don’t dishonour those who lost blood to give us the ballot. The power of persuasion, the participation in democracy, the right to vote, seem to mean little or nothing to them. Maybe our nation's voluntary non-voters, such as Russell Brand, would be convinced of the beauty and brilliance of the ballot if they lived in a country where people don't vote because they can't vote; where the brute force of unelected rulers control and subjugate them. But then, it'd be too late wouldn't it? Please don’t reduce the power of democracy by not taking part in it. Democracy is not perfect, but it’s the best form of government we know. It gives the population the right to choose who rules. Governments need to know that we are their masters, and that can only come through the ballot. And those who don’t yet have democracy need to know that we cherish it, that it’s worth fighting for, and that it’s a right we never, ever want to lose. *This blog is dedicated to the memory of Emily Davison, who as a militant activist, fought to win women the vote. In response to her protests, she was jailed on nine occasions and force-fed 49 times. One hundred years ago, on 4th June 1913, she stepped in front of the King's horse at the Epsom Derby in England and died from her injuries. The Referendum - who can and can't vote? A good article which educates us. Democracy and voting could only be measured truly if we all by law had to vote. Amazing that only 34% vote, this fact should be made aware to our society to establish a true understanding of what society really does want. Thanks for your response. In UK local council elections and those for the European Parliament, the turnout is only around 33% - so most people who could vote simply don’t. It’s better in General Elections; in the last one in 2010, 65% of the electorate voted. But there’s also a problem of people not bothering even to register to vote. In the UK, everyone aged over 18 is eligible to vote – apart from sentenced prisoners and members of the House of Lords. Yet, around 20% of people entitled to vote, don’t register to do so – that’s almost 9 million citizens who gave up on the right to vote. What a difference 9 million extra votes could make to the results of an election. In the USA it’s worse. There, about 206 million citizens are eligible to vote, but 60 million of them don’t register to do so. It means that almost a third of those entitled to vote discard their right to do so. 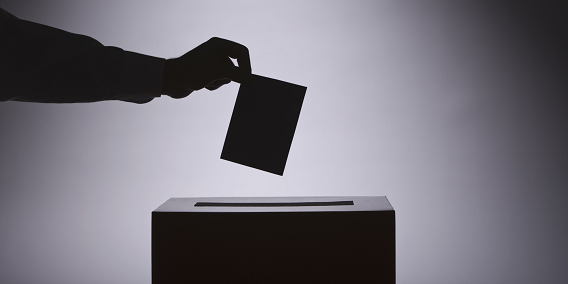 It’s a global problem for all democracies: how do you get more people to take part? Yes, you could have a system such as the one in Australia, where it’s compulsory to vote, and those who can but don’t can be fined a small fee. Personally, though, I think it’s undemocratic to force people to take part. I’d much prefer to educate people, from school age upwards, of the vital importance to participate in democracy and elections. A very interesting read. I think we can put our low voter turnout partly down to complacency. However our education system has a lot to answer for in this respect. In my recent experience of secondary education, politics is not covered until 5th year, after the end of compulsory education. Consequently, those who choose to leave at 16 do not receive any education on politics or modern history. Unfortunately those who choose to leave tend to be predominantly working class. This only serves to reinforce the idea that politics is an issue reserved for the white middle classes. I genuinely believe that we are all born with a natural passion for the issues which affect us. So I suppose the question we need to answer is, what happens between birth and the age of 18 to make so many so apathetic? Thank you very much for your contribution Jessica, you also make some interesting points. These are my further thoughts: It can always be said that the future belongs to the young. Of course they should be involved and understand that future from as early a stage as possible. That means engaging them in the process. In Austria in 2007 the voting age was reduced from 18 to 16. Some thought that few at that age would be interested or want to participate. Yet, it’s been reported that in the local and regional elections the turnout amongst 16 and 17 year olds was close to 75%. As far as I can discover, only three other countries in the world have a voting age from 16 – Cuba, Brazil and Nicaragua. Perhaps they also realise that the future belongs to the young. In the late 1880's in Britain, most men aged over 21 could vote – but not women. It wasn't until 1918 that women were allowed the vote, but only for those aged over 30. From 1928 all men and women aged over 21 could vote, and from 1970 this was reduced to 18. So far there hasn't been enough political support in the UK to reduce the voting age to 16. An online poll by the Guardian newspaper of their readers last month asked if lowering the voting age would encourage young people to engage in democracy. The result was split exactly 50-50%. I agree completely with the importance of voting but the elctoral system doesn't help get people to do so though, does it? The fact is that for the great majority of us our vote is a waste of time. In practice it is only those who are in marginal seats that can influence the outcome of the election. Recent election campaigns have realised this and concentrated the campaigning in those marginals. Not living in a marginal seat I don't remember the last time anyone actively sought my vote. I grew up in the Rother Valley constituency when Peter Hardy was the MP with the biggest majority of any seat in the country. Generally it was only the Conservatives who put up a candidate against him and the height of their electoral ambitions was to dream of one day saving their deposit. One election the Tory candidate was man with the surname Beer. The joke after that was if the Tories could not get votes with the slogan 'Vote for Beer' they may as well gve up. Voting labour didn't make a difference as he was going to get more than enough votes anyway and the Conservatives hadn't a hope of getting elected so there was not a lot of point voting for them either. If we want people to vote we need to give them a reason to think their vote matters. Yes, I agree, reform of our voting system is long overdue. You put everything so clearly. Over 9 % of all British State Pensioners – either have no vote [those who have lived abroad for over 15 years]-, or are either not aware of- or display little interest in their voting rights.. Yet they receive the Old Age pension from the United Kingdom. Most have some saving accounts in UK institutions and almost all use UK Banks. Nearly all have close family living in the UK. Large numbers will return one day to the UK and have a desire to return to a healthy society. All those in Europe are dependent on the UK for health support. Nearly all have concern for the activities of Britain on the ‘world stage’. It is possible, perhaps even probable, that the British Government will trim their welfare payments or indeed their pension entitlements. The Government in fiddling with financial rules all the time affect their income. The Government even imposes taxes on a great many because their work related pensions are considered as coming from the social purse. Even Inheritance Tax may fall upon their estate. Yet they have no say in the Government of the Nation of which they are citizens. Most also have no say either in the Government of the Country where they are resident. They are subservient to two Governments and have no say in either. Such particularly is the case in the EU and it seems the UK Government cares not a toss. Please read some recent comments on the following site to understand this gross disregard for the British Citizen. You can also add your name to a petition to change this violation of the British citizen’s rights to free elections. <1>by not voting (never have) I make your vote more powerful, imagine if only 10 people voted? they each would have enormous power, the less people vote the more power your vote has. 3.2 whether i voluntarily take part in society, the scouting association does not have enough leaders, i wonder if the (in my view, excessive) CRB checks have something to do with this? or the compensation culture? I have always believed that our most valuable asset as a country is our culture, society, legal system, customs, low levels of corruption, it really does work very well, is it perfect? no, can it be improved? yes Do I know which party can improve it? NO. so if you do force me to vote I simply do not know who to vote for. They are all as good as each other. I genuinely believe that they, the politicians, are good honourable people (there are always exceptions) and their decisions generally make sense. The point of democracy is for our governments to be representative of the will of most people, and that can only happen if most people can and do take part. You wrote that if you were forced to vote, you wouldn't know who to vote for. I have not proposed that anyone should be forced to vote. It’s your democratic choice to abstain. All I can do is use the power of persuasion to encourage you and other non-voters to take more of an interest in the choice of who governs us and how. The biggest danger is when people are forced not to vote. In apartheid South Africa, black people could not vote, but white people could. For sure the country was run only in the interests of those with the power to choose the government. Would you appreciate democracy more if, instead of having the choice not to vote, you were not permitted to vote at all? Maybe though it’s a reflection of living here in the UK, a relatively fair and prosperous society, which makes many people such as you feel safe in not voting. The country seems ok, you say, and you consider that politicians are mostly good people who make the right decisions, and the political parties seem the same. You’re not working, pay no tax, and receive free healthcare, police protection, a fire service and more. So long as your life and values and freedoms are not at risk, why vote? Maybe you’re not aware that our ‘free healthcare’ is being cut by £20 billion, which most NHS bosses state will result in “serious patient suffering”. Maybe you’re not aware that severe cuts in the police service will mean 15,000 less police officers, which police chiefs say will put lives at risk. Maybe you’re not aware that our fire service is facing the biggest cuts in its history, with the loss of over 4,000 front line fire fighters, which fire chiefs say will be catastrophic. Maybe you and the country’s other 16 million citizens who could vote but didn't at the last General Election will eventually realise that, actually, their lives and values and freedoms in the UK are at risk and that, really, they should have paid more attention and voted. But maybe by then, it will be too late. As for NHS bosses who state that the cuts will result in “serious patient suffering”, do you really expect turkeys to vote for Christmas? There is **no limit** to the amount of money that we, as a country, can spend on the NHS, there was a doubling of NHS spending (relative to the economy) under labour from 4% to 8% of GDP, it's not surprising that this has resulted in lower efficiency. Aside from that I find your suggestion that the budget is being cut by £20 billion misleading (http://en.wikipedia.org/wiki/Nicholson_challenge) "NHS spending will be essentially flat in real terms - at about £110bn a year - until 2015." I wish these things were so simple. As for the fire and police I suspect the case is the same. People who vote don't read manifestos, politicians only stick to them when it suits them (as the lib dems!) but at the end of the day they do make good decisions. The problem is that I am not nearly as pessimistic as you are on the current state and future state of this country, the "problems" that I do have generally trivial and can not be solved by the government. Maybe you should go on holiday in Nepal or India, you would realise how damned lucky you are, relax and enjoy what you do have instead of getting whipped up by the media (that's how you sell copy) about the "terrible" state of this country. “This needs to be put into a global perspective. According to GlobalRichList.com, if you earn the UK’s average income of £26,500 you’re in the top 0.64% of world’s richest people by income. If you have £25,000 of assets, you’re in the top 18% of the world’s richest people. “The UK is the seventh largest economy in the world. Can we name a time in history when the general population had a higher standard of living, was more educated, healthier or lived longer than now? Like you, I also appreciate and acknowledge living in one of the world’s richest countries with a generally fair and stable society. However, I also acknowledge that we've achieved that, in the main, through the democratic process. That’s why I feel it’s so important to take part. It may be that our contribution to democracy only represents a little, but that is no excuse for not doing what little we can. I am particularly concerned by the enormous cuts to our social services, especially to the NHS which are causing considerable problems to many thousands of people across the country, including me. There are choices in how the country is run, and the only way we have to exercise that choice is to vote. On another story for my blog, I asked the eminent Cambridge University economist, Professor Ha Joon Chang, if he could name any time in history when austerity measures led to prosperity. "we've achieved that, in the main, through the democratic process." I agree and concede that point but who should I vote for? Let me elaborate, you state that there will be enormous cuts to the NHS yet the truth of the matter is that there will not be real terms cuts in the NHS budget despite there being a significant government budget deficit, the idea that the NHS is bad is ridiculous and I repeat my point that there is no limit to how much money we can spend on the NHS (ask the Americans) and people will still have cause to complain. My point is really that these things are far more complicated than the electorate (including my self) can understand, and frankly that vast majority of the electorate are voting on matters that they don't understand. You suggest that "austerity" (I use quotes because these things are relative) is a bad policy, the politicians and academics can't work it out, if it was that easy they would already have the answer. I know that there are strong arguments in both directions, and plenty of evidence on both sides, yet if they can't work it out, how the hell am I supposed to know the answer? I wish it was that easy, unfortunately we have where parties promote evidence for austerity/growth which happens to be aligned with their own political ideologies. This makes their arguments far less credible. As for your professor, how about asking him if a policy of "growth" (i.e. borrow and spend) has ever resulted in a reduction in GDP? Greece spent money like it was going out of fashion, the markets got scared, interest rates increased and the country essentially defaulted, do you still want a policy of "growth"? I wish it was that easy. (http://en.wikipedia.org/wiki/Nicholson_challenge) "NHS spending will be essentially flat in real terms - at about £110bn a year - until 2015." Yes, I always enjoy a good debate. If you’re satisfied with the way things are, or have no view on how society could be improved, then I imagine you might well feel befuddled by the ballot box and who to vote for. I feel differently. Satisfaction, in my view, is the antidote to human progress. Being dissatisfied is probably the healthiest human trait; without it, we’d have stayed living in caves. How can anyone be satisfied living in a world where so many are struggling and poor and out of work and dying of preventable or treatable illnesses? Only the rich and uncaring could be satisfied with the world as it is. Only those in rude health, and with private medical insurance, could be satisfied with the huge cuts to the NHS, which frontline doctors and nurses are protesting will seriously affect patient care. Only the well-off could be satisfied with austerity measures that are not working, at least not working for the mass of the people. Democracy is the only protection ordinary people have against being downtrodden. Only through democracy did we get a welfare state, regulations on monopolies, consumer protection, workers’ rights including minimum wage, holidays and a limit to the working week. Free-market economists and those who are on the side of the rich dislike democracy, because poor people generally vote for policies that don’t benefit the elite. That's why they ring-fenced important policy making away from the democratic process, through independent central banks, international credit agencies, and regulatory agencies such as Ofcom and Ofgem. If you’re rich, I imagine that you’d be happy with the status quo. If you’re poor, or care about those who are, you’ll want to vote for policies that protect and support the many from the few. And you’ll also want to defend and extend democracy against those who demand deep austerity measures that don’t serve or work in favour of democracy or the general population, but will at least help the rich to get richer. You say that if the politicians cannot work it out, how can you? But it’s not really a question of what to work out. It’s a question of for whom? Do you support policies that will help most people, or just a very few at the top? The arrogance of youth I suspect, to condemn your vote into a bin for 'don't know who to vote for' is missing the point, maybe with a degree of truculence. No. These all come from the most valuable asset in any society, the right of the people to vote. Yes. Your behaviour does have an impact as does your vote. I soon can not vote anywhere as I will have lived outside the UK for 15 years and then no longer will be listened to, replied to or even considered by those who make decisions that affect me. Presumably you don't pay taxes here, don't spend money here, don't volunteer here, don't use health care etc... Why should you be able to vote? I'd like to vote for the president of Ghana, but they would tell me to f** off. I pay my income tax in the UK, I pay rates in the UK, I invest in the UK stock market, I don't use the UK's health care system and am not entitled to do so, I spend money in the UK when visising and also with many UK based companies such as EasyJet, BA, various hotel groups and car hire companies. I choose to live somehwere else within Europe and when I die, even if the above pattern was not the case, the government would classify me as a fully paid up Briton for inheritance tax purposes, yet shortly I am not able to vote on any legislation that could affect the above points of contact. I guess you pay tax (income and rates) in the UK because you have assets in the UK, like a rental property etc... you, like many foreigners, are free to sell up and buy locally. Ditto for the shares, plenty of foreigners own shares quoted on the UK stock exchange, do you own shares on the NASDAQ? My approach is that the system is what it is, and I work within those rules, I just don't have then inclination or energy to get involved in the political process (things are quite good enough thank you very much), there are far more efficient ways of solving the problems, if any, that I have. It's all far too anxiety inducing. If the political process was less fraught and adversarial I'd be more inclined to get involved, when Tony Blair came in to power, it was as if Jesus had just turned up to 10 downing street yet 10 years later he is the devil (yet he is/was the same person), ditto for Maggie, I don't want to be part of a process that is soo full of hate, vitriol and point scoring, it's pathetic. There are many thousands of ex pats who have chosen to live legally within the EU who are denied the right to vote. Despite a long campaign the British government still turns a deaf ear to the request for voting rights. This is clearly a denial of democracy to British citizens. 200 00-300 000 French citizens living and working in the UK have their own M.P. (deputé) in the French parliament. Many British expatriates pay taxes to the UK treasury or, like me, have been employed on UK government financed projects in Europe, but we are not represented in the British parliament and this despite our loyalty to our country and adherance to British culture. The payment, or not, of taxes is not a criterion for determining the elligibility of a voter otherwise we would disenfranchise many students, poor people and old-age pensioners in the UK itself. Here in the states there is so much electoral fraud it makes it impossible to have your vote counted. If people are unjustly thrown off voter rolls en masse (ala Bush 2000), or have their votes flipped or invalidated by a private electronic vote-counting company susceptible to bribery, or never get to hear about any decent candidates in the first place because their airwaves are owned and controlled by billionaires who censor any decent moral point of view, what voice does that give their vote? Where is the democracy in the vote COUNTING process? Holding an electoral revolution using electronic voting machines, having private companies count the votes, and permitting any millionaire with a point of view to dump tons of money into their favorite's coffers is like having an armed revolution where the dictator opposed provides the blank ammo. Thanks for your contribution, Scotty_mack. Electoral fraud is the antidote to democracy. Your comment is surely an argument in favour of more democracy, not less. democracy, the ability for 2 idiots opinions to outweigh those of a genius. Can you name a better system than democracy that has ever existed in the history of the planet? Sortition is a form of democracy; some say the foundation of it. But even in Athenian democracy they had wealthy elected officials running alongside those chosen at random. It’s arguable whether sortition was a better method than the modern democracy that evolved from it. We can debate the idea of sortition, but I don’t think it could be successfully employed to run a modern country in our extremely complicated world, that requires special skills and attributes. Would you be happy for someone chosen at random to fly your plane? Or to undertake surgery on you? Sortition may mean our rulers would be chosen from the people, but with no guarantee that they would be truly representative of the people. I much prefer that our modern form of democracy is improved and enlarged, and that more people are encouraged to take part in it. Sortition may be good for jury selection, and maybe it could be extended to, say, the appointment of local councillors and mayors. But for the selection of national government, I want an election. One key condition of democracy is "transparency" in government through "oversight" to create "checks and balances" system with the control of the people. Democracy has substances, the fundamental principles which must be upheld, in order to limit abuses of power, including to prevent tyranny, tyranny of the majority or tyranny of the minority. Co-equal, transparency, checks and balances, prevent tyranny, control of the people to representatives in government, makes democracy being the better system than others. Control of the people which is called "free media" to executive, legislative and supreme that those state institutions must be : Exist, co-equal, separated, dispersed, decentralized, absolut and independent ~ makes the gov. of the people for the people. I agree that transparency is a desirable aspect of democracy, but actually no consensus exists on how to define democracy. I wish it was so clearly defined. Democracy is a work in progress, and has evolved and improved over time through various Acts of Parliament, such as the English Bill of Rights of 1689. Often democracy has been described as, "the most valued and also the vaguest of political terms in the modern world." There are many forms of democracy across the world. Found this from your reply on www.planetivy.com and must say I really enjoyed your article. Too many people fall into apathy with voting and do not realise how lucky we are. Everyday, I see asylum seekers in boats coming from wretched countries usually where they have no voting rights and who risk their lives to live in countries such as Britain and Australia. It just seems incredible that many young people in our democracies would object to voting. Read the book No Expense Spared, the Politicians are the only ones who dishonour those who lost blood, they are cheats are liars.